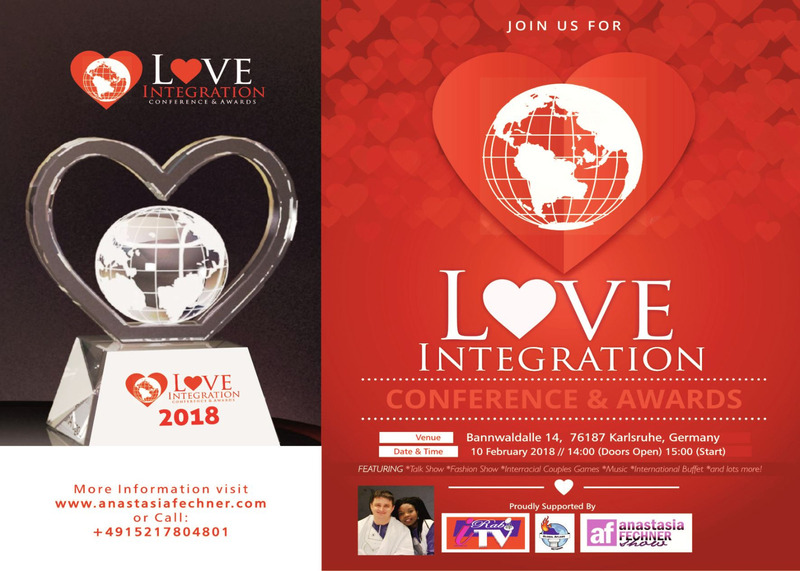 The Love Integration Conference and Awards will take place on 10 February, 2018 in Karlsruhe, Germany. It is the first of its kind. 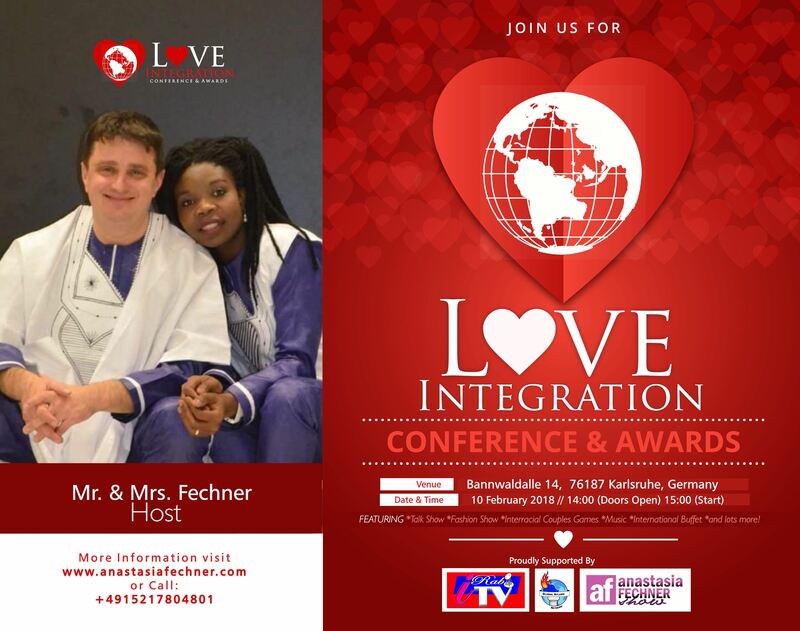 Talkshows, interracial couples games, intercultural music & dance and the awards presentation segment will take place to encourage and celebrate the unsung heroes and heroines of love, integration and togetherness directed at all human race with a case study or focus on interracial marriages and relationships. Through integration, families are built with people of different race, colour and culture where love is evident and staying united in love is indeed a case of TOLERANCE! 3) An avenue to teach positive and moral principles that will help sustain love and help people integrate peacefully in the society. The hosts are Mr. & Mrs Fechner.